Earlier this year [company]Google[/company] unveiled a new design language called Material Design that informs all of its interfaces across web, mobile and devices. We’re excited to announce that at Gigaom’s experience design conference Roadmap, we’ll feature a discussion with the man at the center of Google’s new design paradigm – Matias Duarte – in conversation with Wired’s Cliff Kuang. At Roadmap 2014, which will take place on November 18 & 19 in San Francisco, you’ll also get to hear from design leaders like Kleiner Perkins’ Design Partner John Maeda, Fuseproject founder Yves Béhar, Type Designer Jessica Hische, Nokia Here’s Head Designer Peter Skillman, OMsignal’s CEO and Head of Design Stephane Marceau, Designer Craig Mod, and others. 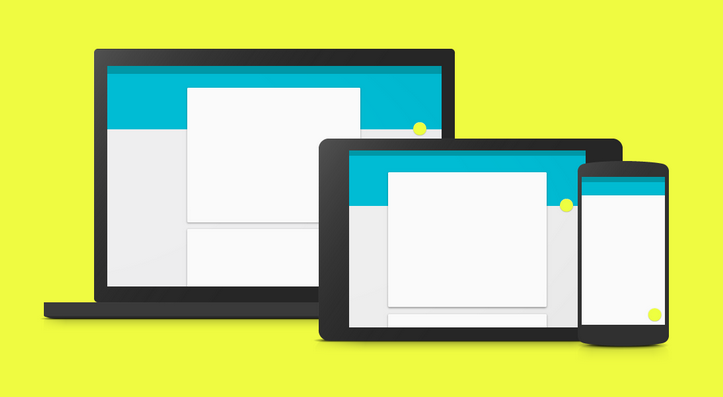 Google’s Material Design language, image courtesy of Google. Our theme this year is Invisible Design. It’s the idea that now that every experience and device is becoming connected and rich with data, design has become the fabric of this complex world. It’s how we simply and emotionally experience these new products that have so much going on under the surface, and it’s what holds great products together and makes them work. Yet it’s often times invisible and utterly simple. Join us at Roadmap, where you’ll learn how to create magical, invisible design experiences, use design to disrupt industries, and hear from inspiring creative thinkers. Tickets are moving fast, so get yours soon.